It's that time again! Let's keep this amazing tradition alive. Don't miss this party, y'all. An evening with The Greens in the beautiful Worthington Golf Club Ball Room. It's the night before Thanksgiving so we KNOW you'll be in town. 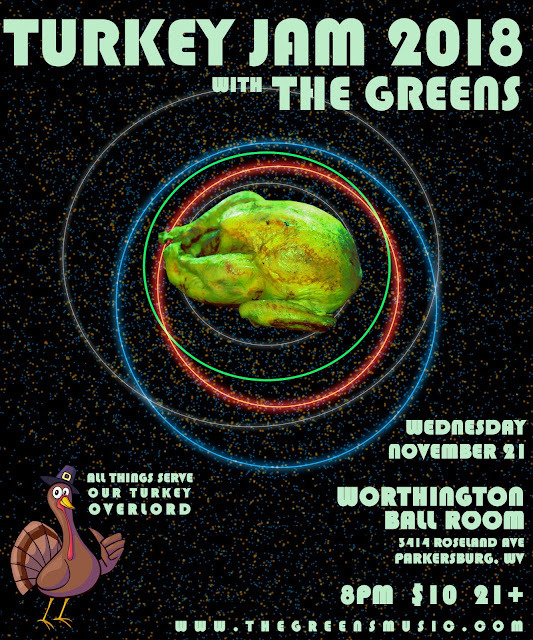 Come get your groove on and preempt that holiday weight gain with some vigorous booty shakin'. This is always a really special night for us and we are looking forward to seeing you all there!